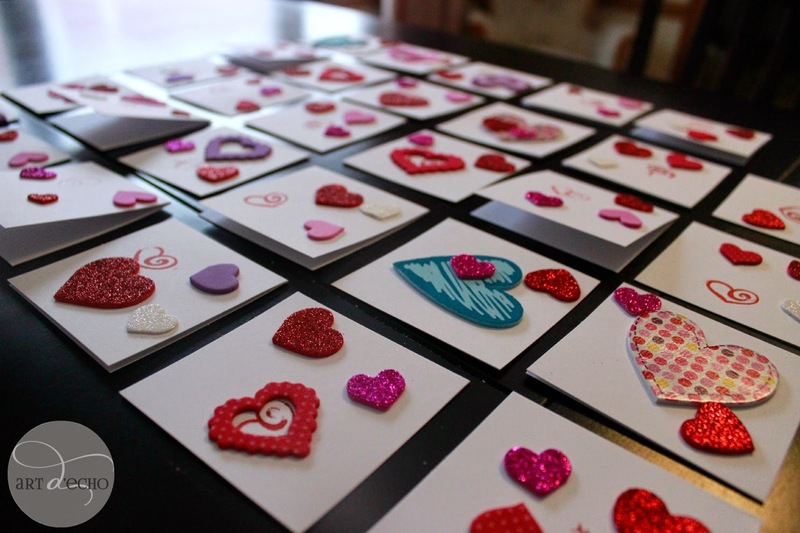 i have a feeling that when luciana comes home from school today, she'll also be bringing home lots of homemade valentine's day cards. 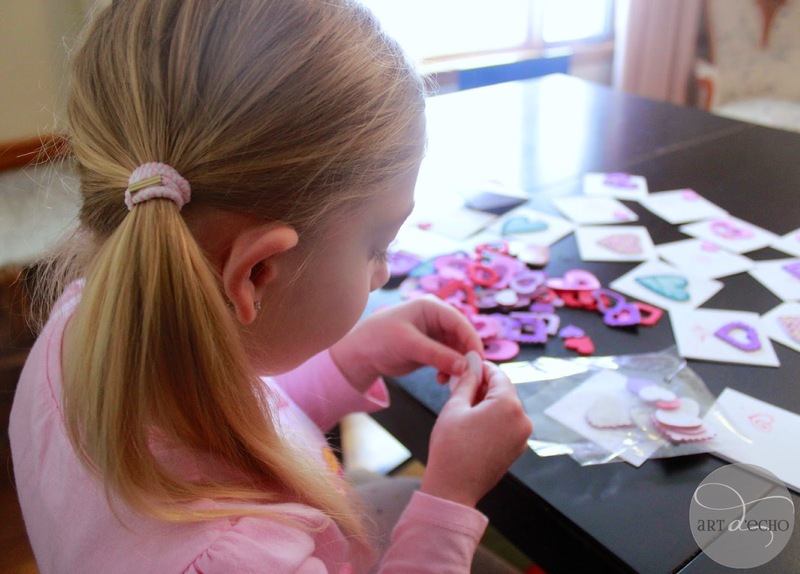 in the past 3 weeks there have been 6 snow days so i'm sure crafting was among the many indoor activities parents were doing with their kids. we have about 17 feet of snow outside. ok, about 6 feet of snow, which is still not exactly ideal snowman building conditions. 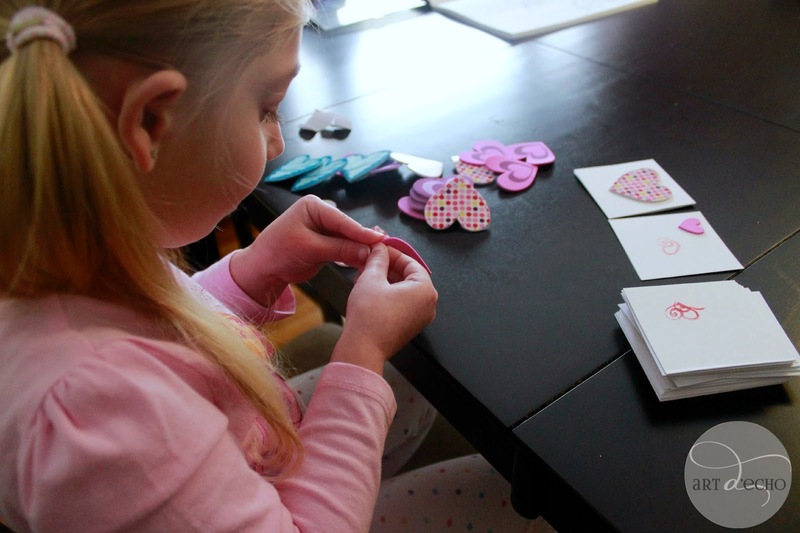 the first year i had lucy make valentine's day cards (2 years ago, detailed here), i was all proud of myself... until she came home with elaborate goody bags from each of her classmates. and all she got them were cards...? last year i found grow-your-own flower kits in the dollar section at target. i thought it would be a fun project for kids to do at home, something they would get some use out of later. that plus a card plus some chocolates seemed perfect. this year, lucy is at a different school with all different classmates so i decided to use the same idea again. 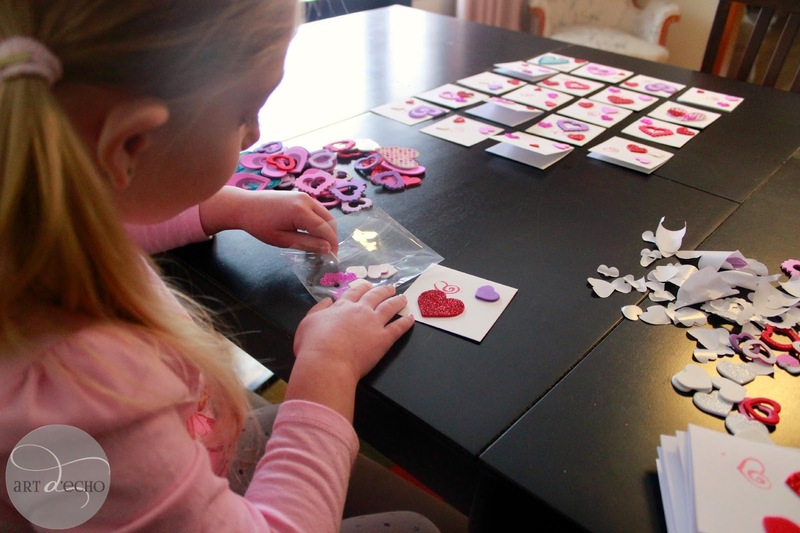 i wasn't sure how long lucy's attention span would be, having to make 21 cards, so i had her start making them on sunday. good thing i started early since she ended up getting sick and stayed in bed during the 2 snow days we had this week! i was pleasantly surprised at how she did. i like to have a variety of supplies on hand when doing crafts with my kids, to keep it interesting. first, the cards. 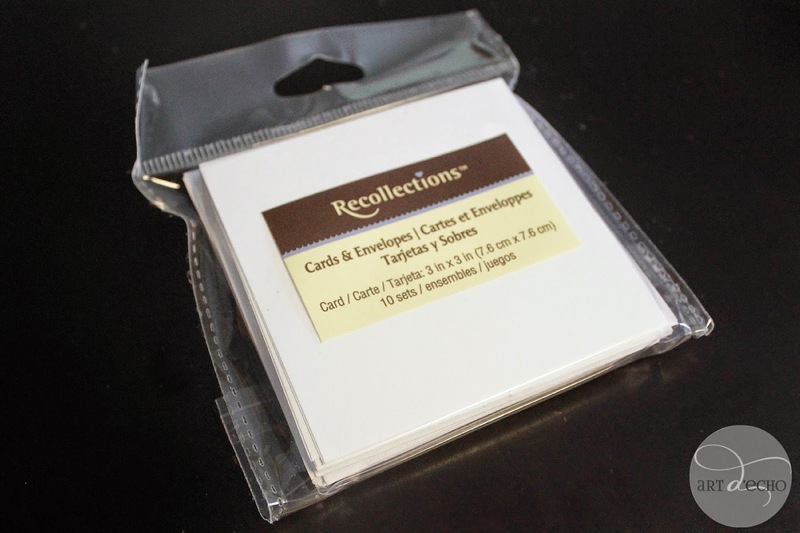 in michaels i was able to find these 3 x 3 blank cards and envelopes on sale. i'm lucky because luciana LOOOOOOOOVES doing any sort of art project. i was able to put the supplies in front of her and she got right to work. 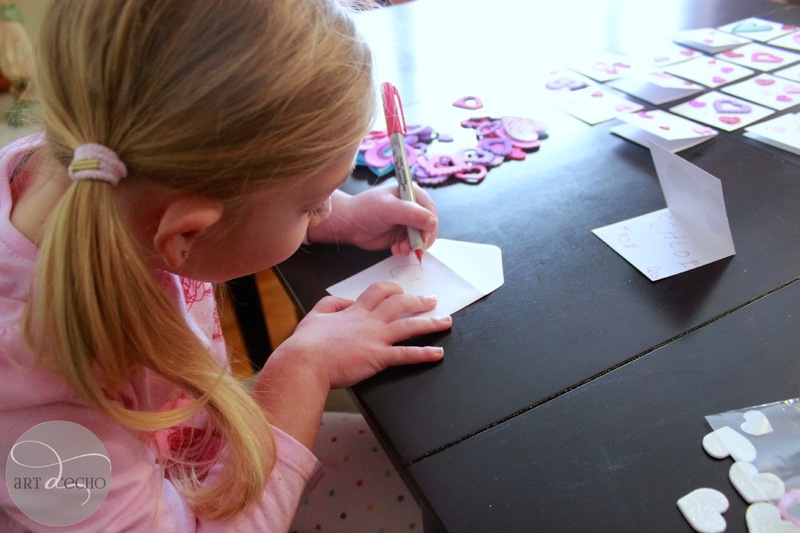 purple is her favorite color (even her classmates know this) so of course she had to start by adding a purple touch to each card. 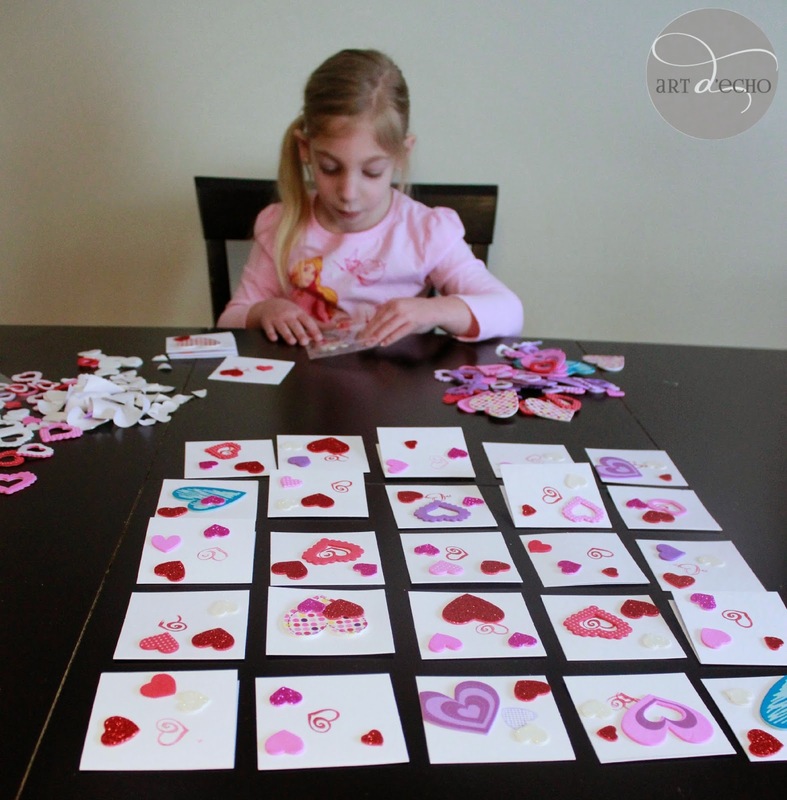 i had 4 different heart stamps and 2 ink colors (red and purple) for her to chose from. i just made sure each card had something and the rest was up to her. 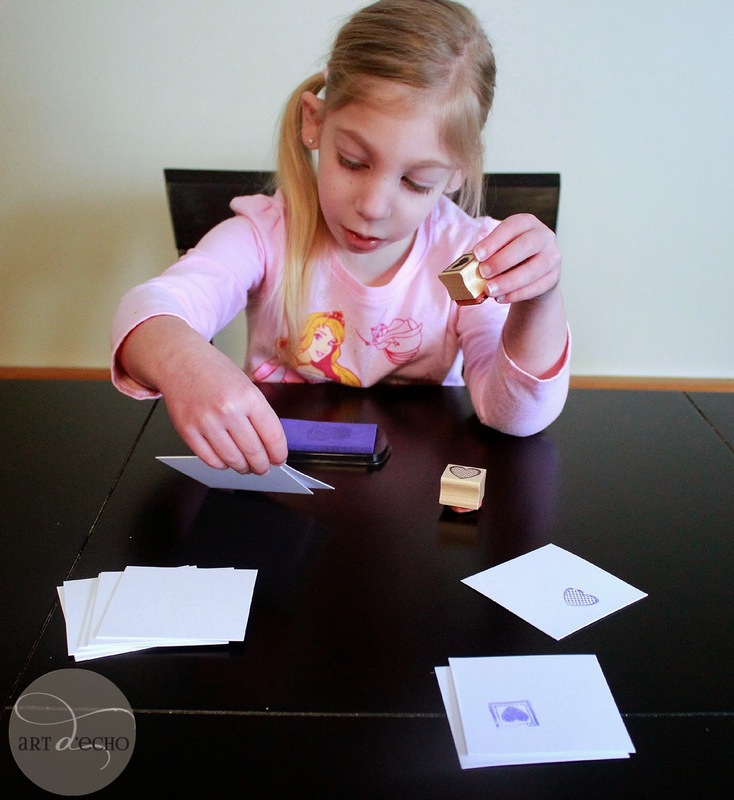 once she was done with stamping, i gave her some stickers. michaels also had a sale on all the valentine's day crafting supplies, so i bought tons of different foam heart stickers. my girls love stickers, they will never go to waste in this house. 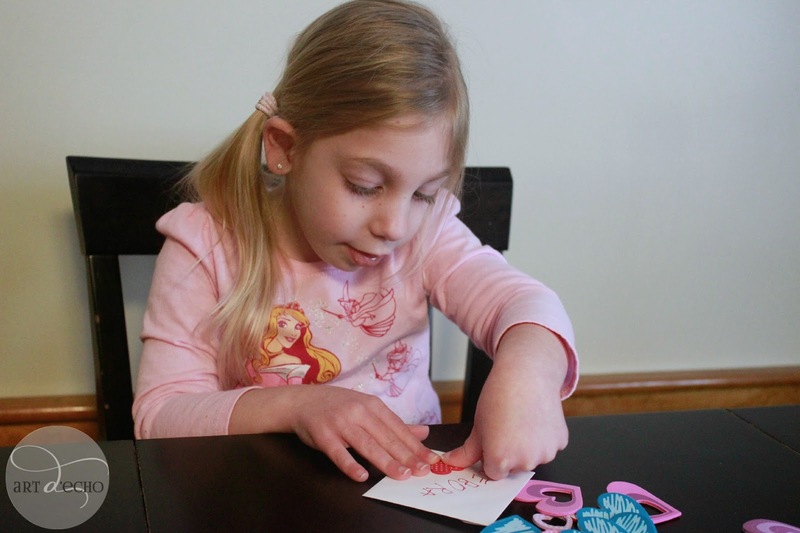 lucy's teachers will be happy that she was getting a lot of fine motor practice peeling all the backings off! 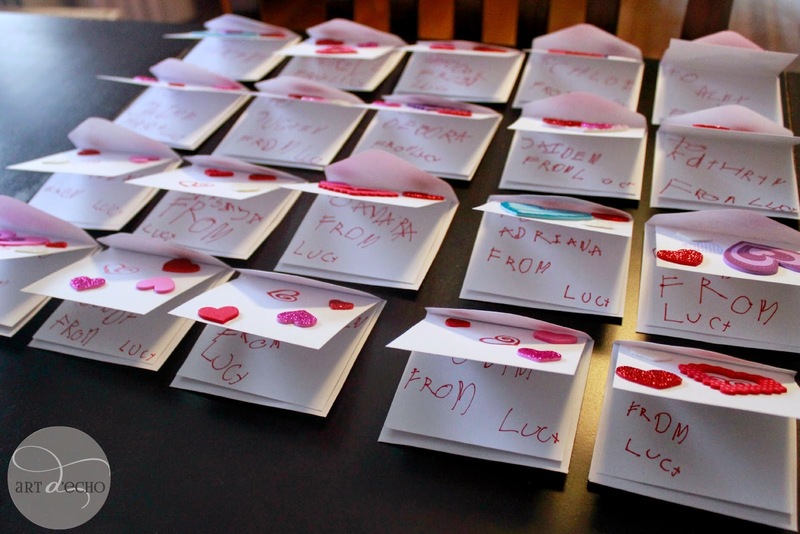 lucy had a very clear idea of what she wanted on each card. 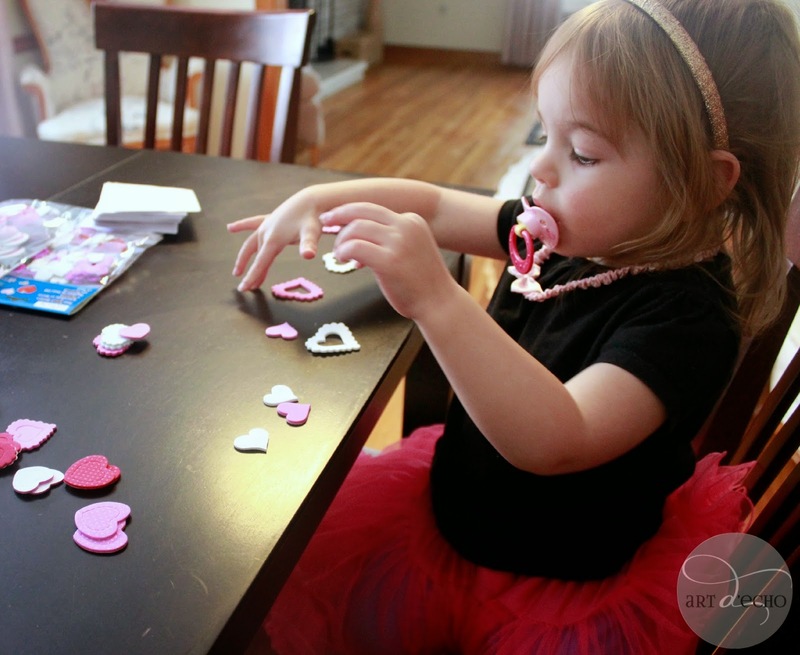 i was able to keep anabella busy by giving her stickers to separate. as long as lucy stayed into it, i kept giving her more stickers to use. we made it into a game, making sure all of the cards had an equal number on them. i lined up all her cards for her so she could see them all together. i love how different each card ended up looking! 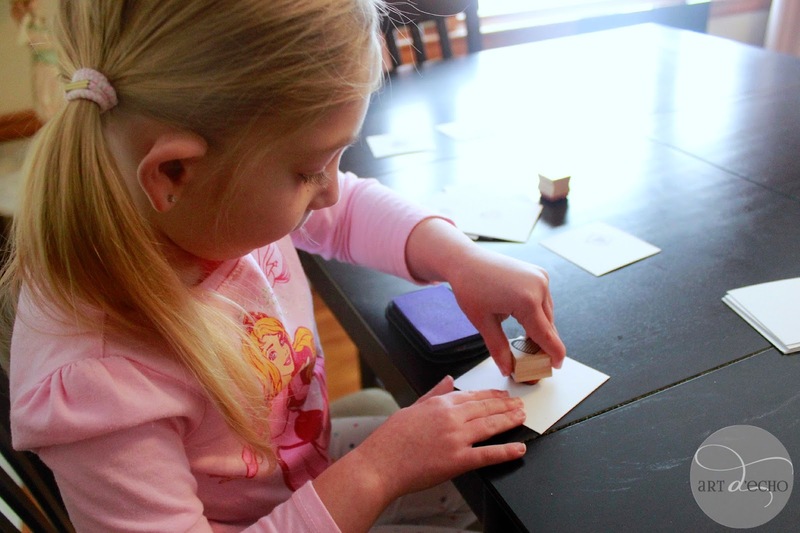 once she was done with the cards, it was time to do the writing. 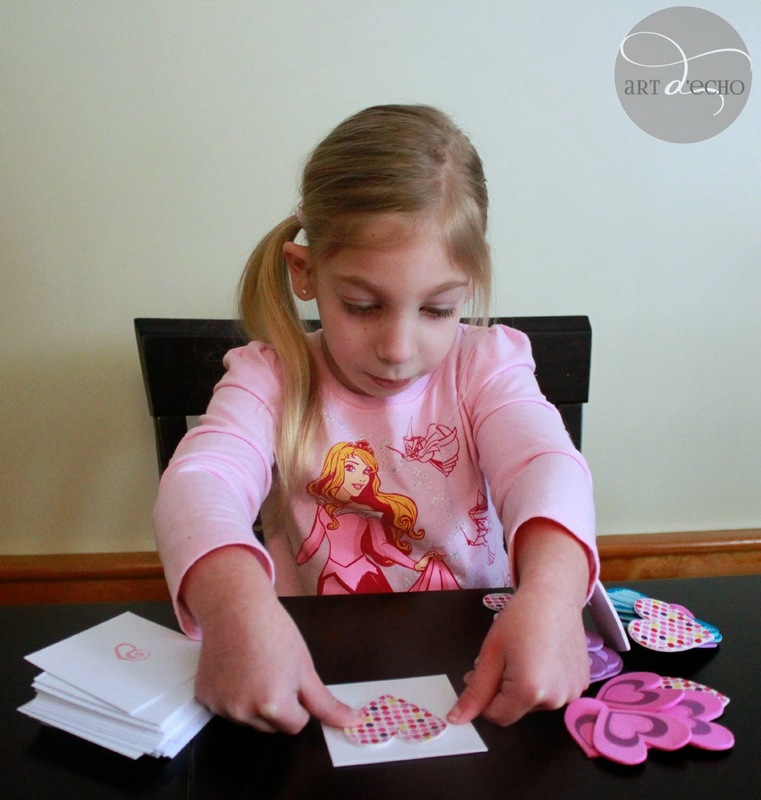 i would tell her the name of a classmate and she would pick out a card. she is in kindergarten and just starting to learn to write so it was good practice sounding out the names. 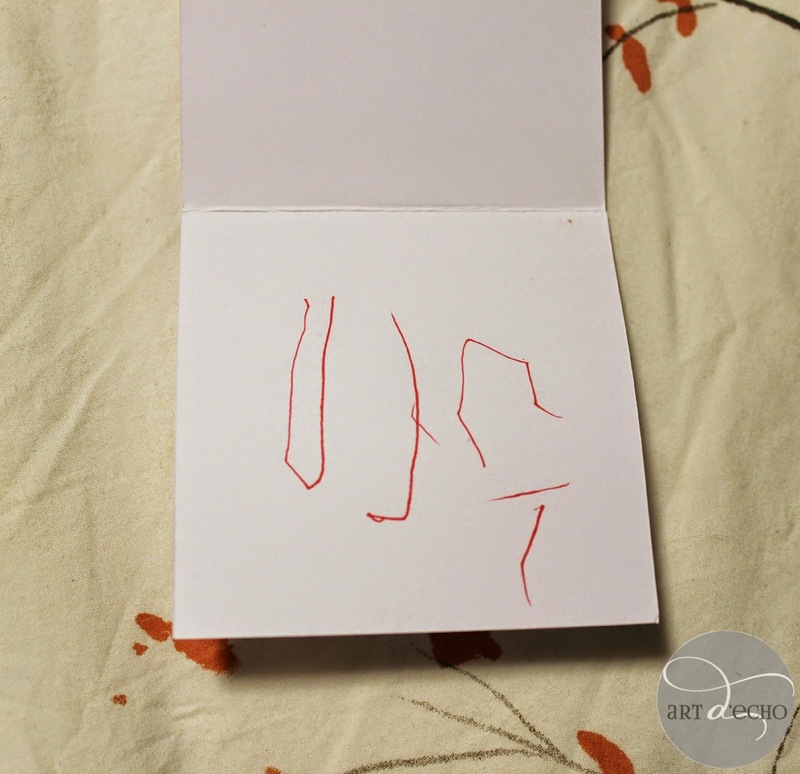 this was how she wrote her name on last year's cards, i can't believe how much it's changed! 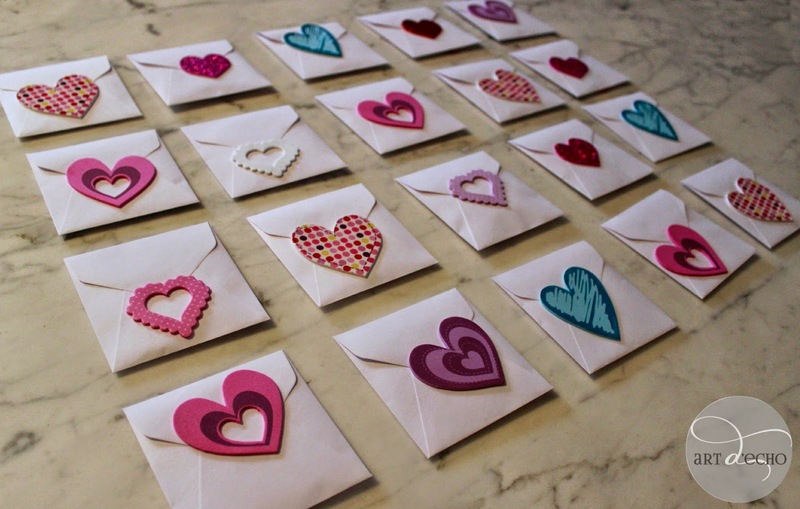 and a large one to the back to seal each envelope. once they were done, it was time to get everything ready to assemble. 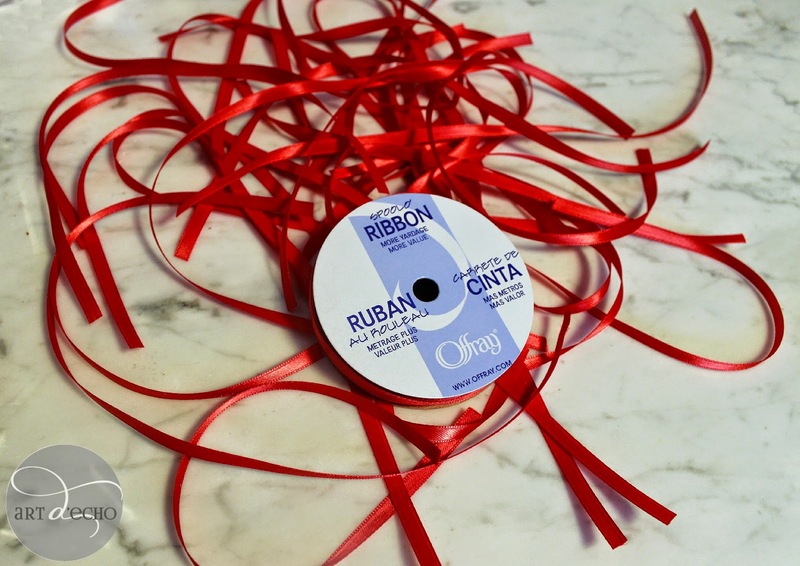 i held the ribbon (10 yards of an inexpensive red ribbon), lucy's job was to cut it. 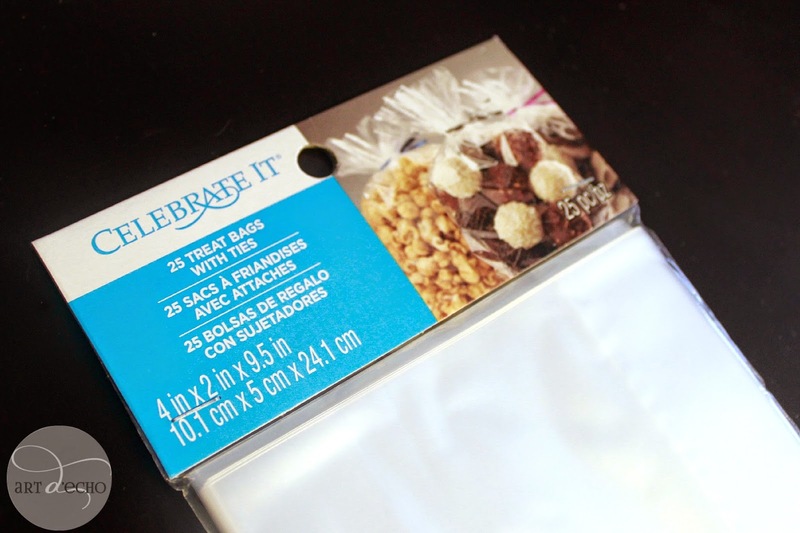 i put out a stack of cellophane bags (usually found with the baking supplies of craft stores). 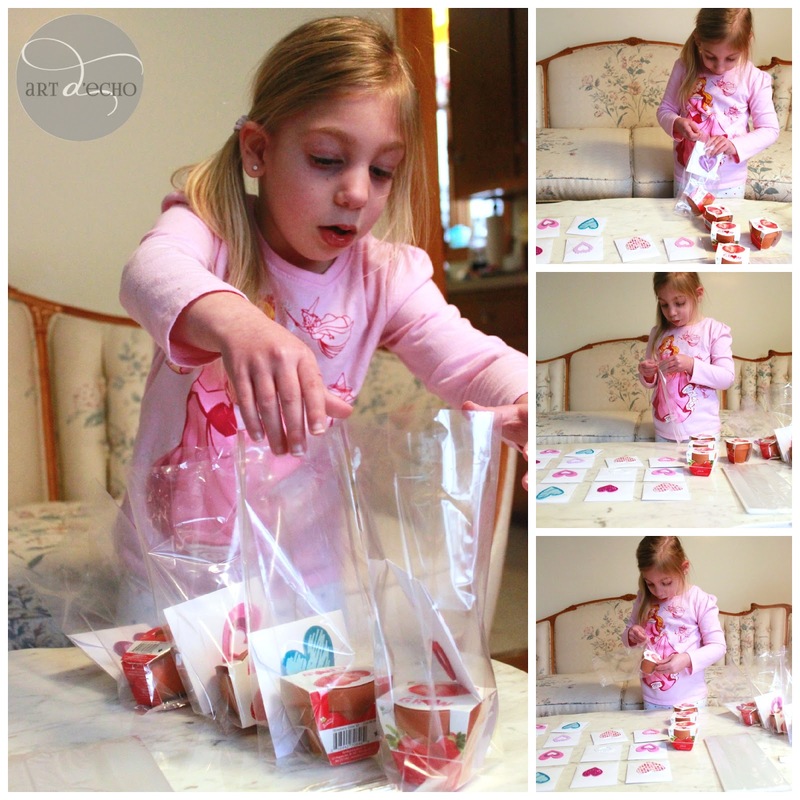 lucy got to work: one card, one grow-your-own strawberry plant kit and 3 hershey's kisses in each bag. i moved the cards around so the names were visible, if need be. lucy was VERY excited to go to school and hand these out today. 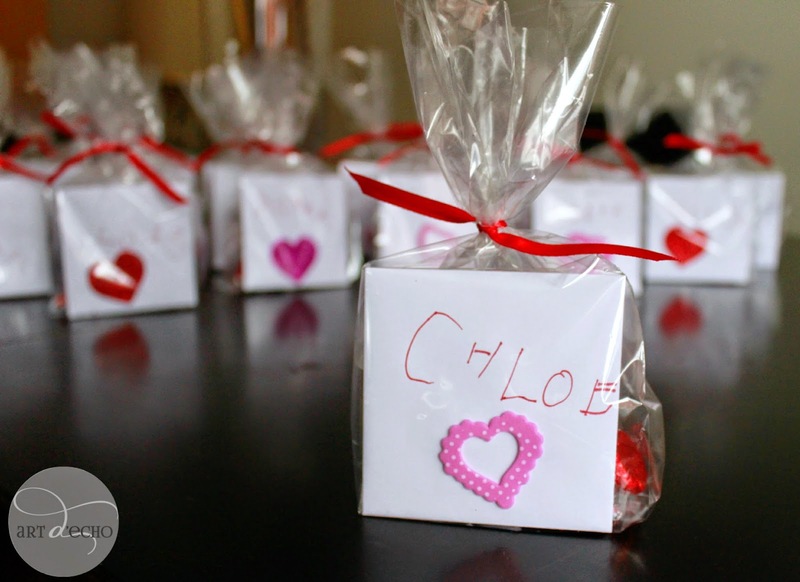 she loves giving people gifts, especially anything that she has made or picked out herself. i can't wait to see what her friends at school give her! 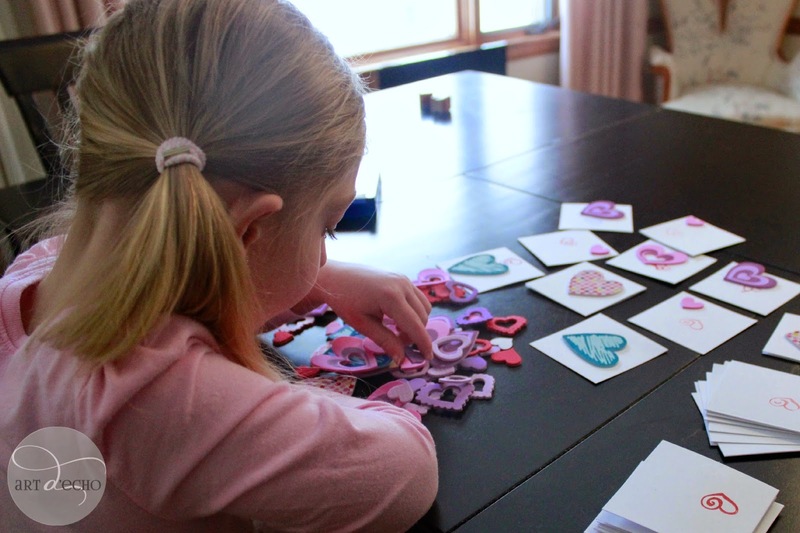 did you have your kids make their own valentine's day cards this year? how have you been spending these frigid, snowy days (or warm, sunny days so i can be insanely jealous)?